Matt is currently Principal for Strange London, an umbrella brand under which the founder members of Pollarize can release digital experiments and products. The first of these, Pretty IP, has received over 100,000 visits since launching with no paid promotion or PR activity. Previous to this Matt was Cofounder and CEO at Pollarize, which won at London Startup Weekend as well as winning a place on the competitive Wayra Accelerator program. Previously Matt was Digital Content and Marketing Manager at Virgin where he was responsible for the content, promotion and performance management of virgin.com, the Virgin own brand social channels and the management of Richard Branson’s channels. Whilst in this position he conceived, managed and coordinated the Crimson Bandit marketing campaign. 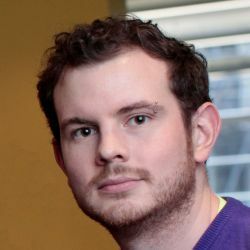 Matt has also Founded the mobile gaming start-up Lokio after leaving Techlightenment.